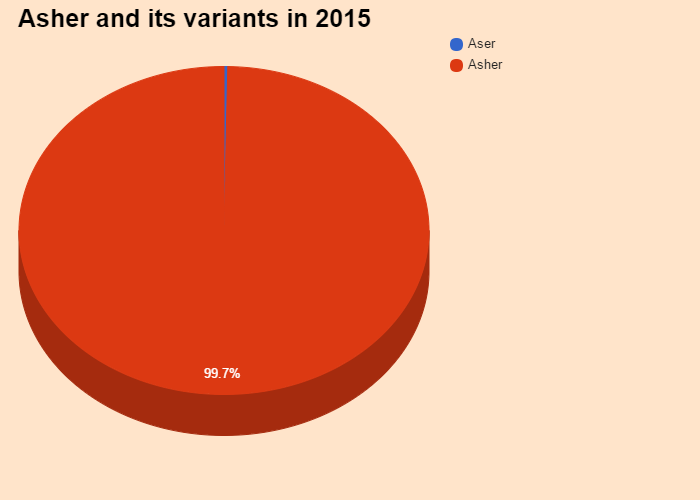 Asher was ranked 83 in 2015 US male names list and elevated by 10.75% from its previous ranking of 93 in 2014. Asher was ranked 895 in 2015 list of US girls name and dropped by 1.36% from its previous ranking of 883 in 2014. Asher is a rare first name for a girl in England & Wales which is a rare name since 1996 and ranked 314 in 2014. Only 1502 people have Asher as their first name. Asher is a very consistent name over the past 18 years. 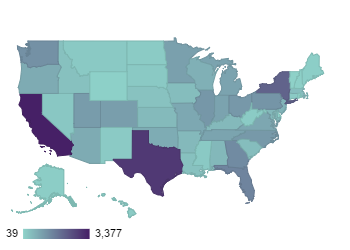 Asher is a very very popular first name for a boy in United States which is popular since 1999 and ranked 83 (0.127689% bearer) in 2015 in US. Around 38160 people wear Asher as their first name. Asher is a rare first name for a boy in United States which is a rare name since 1880 and ranked 83 (0.127689% bearer) in 2015 in US. Only 38160 people have Asher as their first name. Asher is not a native United States and Asher may be came from another language or is a short form of some other name. 0.010675% of people in US have this given name. Expression number of Asher is 6. Asher have a great affection towards creativity, beauty and domestic activities of life. Asher are trustworthy, honest and behave responsibly. Asher have tendency to sacrifice their needs for others'. Asher Roth Asher Paul Roth, better known as Asher Roth, is an American rapper. Get the meaning of Asher and celebrities who also shares the same name and some names related to Asher, english baby names list, list of names in english. Know what does Asher mean? This website serves as the extended english names list which will help in naming your child.